If you have just accepted a new job offer or you have not been promoted for a while, here are 5 top career tips you should consider. 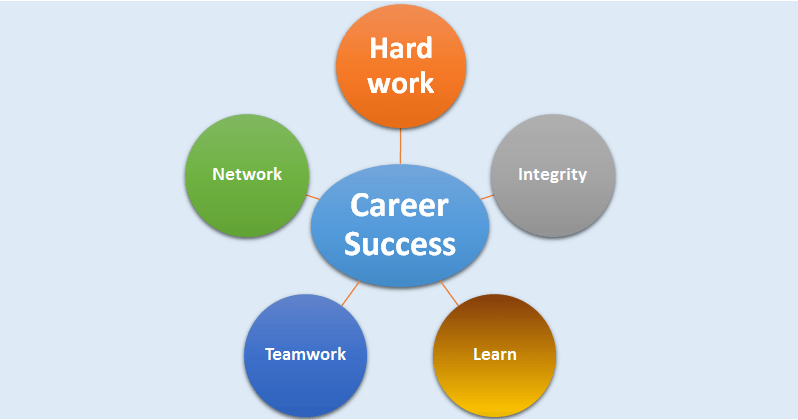 There is no shortcut to a good career progression. You need to work hard, make yourself invaluable and function at a higher level; the benefits and higher income will follow. It is hard work first then success next. Okay, I am not saying you should forget about work life balance because your wealth start with your health. Honesty & truthfulness cannot be over emphasized in any organization. Integrity means doing the right thing at all times and in all circumstances, whether or not someone is watching. Even if you left the job, only your integrity and knowledge will stay with you. Learning is the single greatest source of competitive differentiation in the business world and the single most important ingredient to a successful career. Whether it is an intellectual pursuits, spiritual, technical, athletic or moral, we must resolve to learn for us to grow. You will agree with me that every profession changes their processes and methods as environment changes. For example after the 2008 financial crisis, new banking laws are written, new accounting standards are set, new risk management approaches are adapted, new performance reward systems are also encouraged etc. Yes, to be relevant, you must continue to learn the new things. Perhaps the most important quality you can develop for long term success is that of being a good team player. There is little we can do as a single person. We need the coordinated effort of every unit from the front to back office of a firm. We should therefore play our role and support the others. As a back office and control officer, it is important we do not mix the teamwork spirit with organizational policy and controls. Everything in life and business is relationships. Your ability to form the right relationships, with the right people, at every stage of your life and career, will be the critical determinant of your success and achievement. The network has a key impact on how quickly you achieve your goals. The more people you know, and who know you in a positive way, the more successful you could be at anything you attempt. One person, at the right time, in the right place, can open a door for you that can change your life and save you years of hard work. If you have a career tip for me, please drop it in the comment box.